Which Apartment Floor Plan Is Perfect For You? 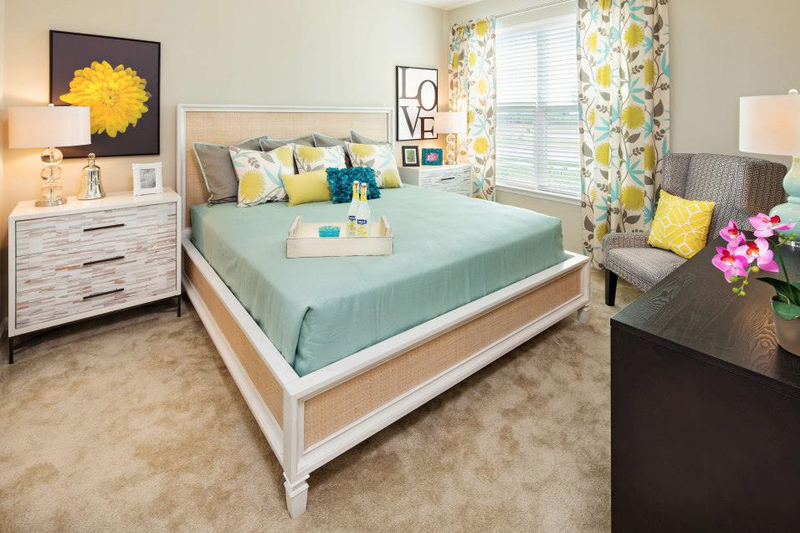 Choosing the perfect apartment home community was easy with all of the features and amenities here at Arcadia Run in Manassas, VA. Now, it’s time to decide which of our seven different floor plan options will work best for you! 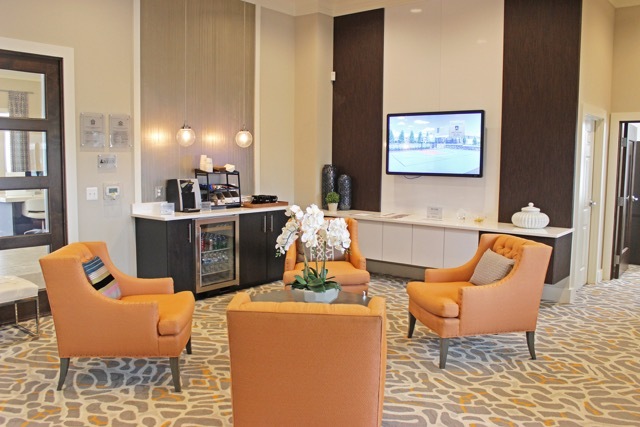 Before you make an appointment with our wonderful leasing team to find your perfect floor plan, there are some factors that you should evaluate about your lifestyle and needs. How much furniture do you have? With seven different 1 or 2-bedroom apartment floor plans to choose from, each choice will provide a different amount of living space. If you are bringing along furniture from your previous apartment home, consider how much room you will need to fit it all and if you’re willing to sell some, or if you’re going to buy new furniture. This question may seem obvious, but is an important question to ask. If you are moving to Arcadia Run by yourself, do you want to search for a roommate to share a 2-bedroom apartment or are you looking to live by yourself? There are benefits to both options but you just have to find the right answer for you! Do you need a space at home to work? It is not easy to live in an apartment home with other people while trying to get work done if you are studying for school or work a full-time job from home. 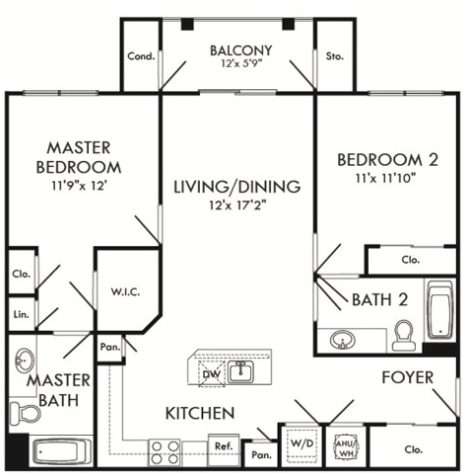 Arcadia Run offers some floor plans with a den added on, in addition to the standard living area. Every apartment home at Arcadia Run has multiple closets for ample storage space, but depending on your needs, you may want to consider a larger floor plan. It’s easy to store your wardrobe, linens, pantry items, and kitchenware, but if you have large items like extra furniture, sports equipment, etc., you may need to consider a larger plan that will have one or two more closets. No matter how many bedrooms you may need in your home, the kitchen and living area are where you will entertain family, friends, neighbors and other guests. Consider looking at the square footage in each available plan, and if you entertain often, you may want something larger than what you originally thought. If you have a range for your budget, use the importance of other factors to determine which floor plan is right for you! At Arcadia Run, there are apartment homes in a wide range of pricing to fit budgets of any size. Every apartment home at Arcadia Run includes luxury apartment features, storage space, and modern layouts so you won’t have to sacrifice all of the high-end finishes that you want in your dream apartment. Visit arcadiarun.com for information on how you can rent a brand new apartment home today! 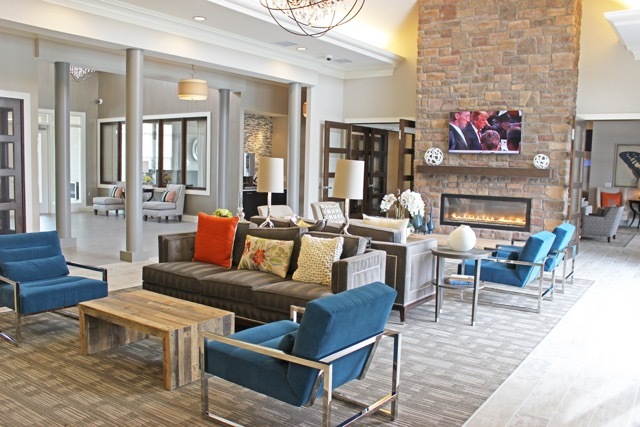 Tour the Award-Winning Clubhouse at Arcadia Run! From the moment you begin to approach the Clubhouse at Arcadia Run, there is no question that inside is something amazing! The Clubhouse is where our residents get to enjoy community amenities, attend events, and hang out with other Arcadia Run residents. 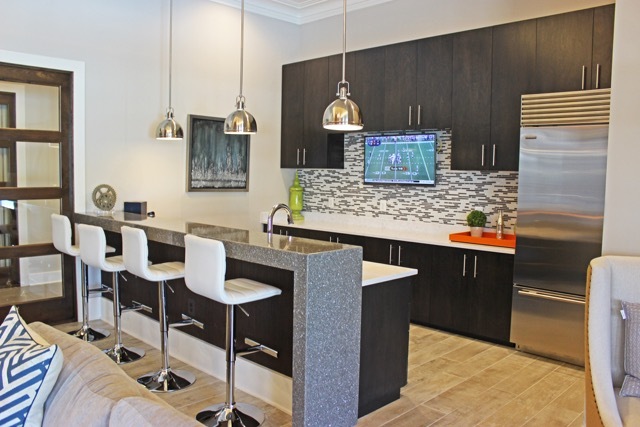 Let us walk you through our award-winning clubhouse in this photo tour below! 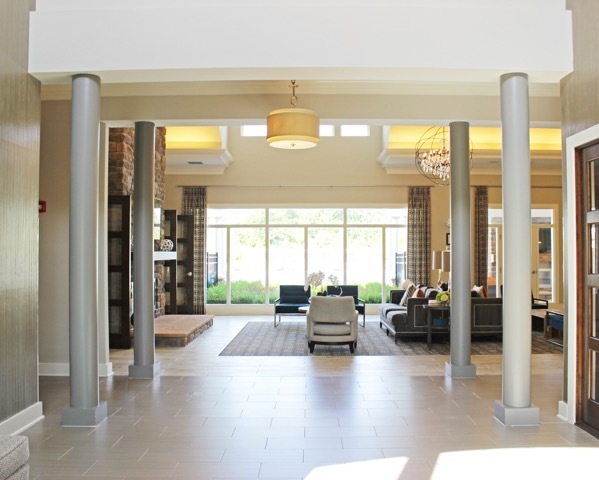 When you walk into the lobby of the Clubhouse it is similar to entering a grandiose hotel, with high ceilings and columns lining the entranceway. 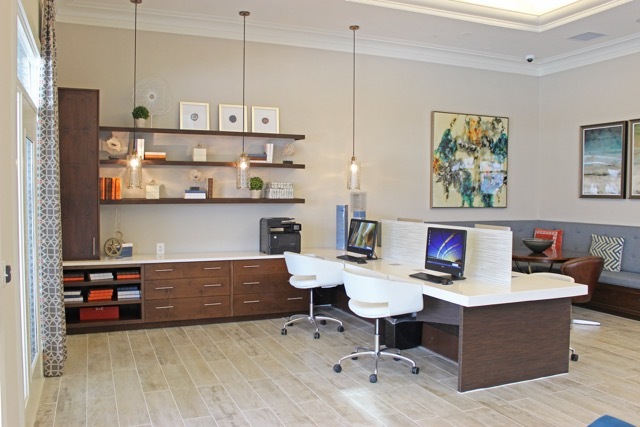 Directly to your right are the leasing offices of our amazing staff that work day in and day out to ensure our residents have the best experience while living here at Arcadia Run. If you look to the left, you will see Arcadia Run’s movie theater, complete with comfy lounge chairs, a bar for eating, and a huge movie screen for our Movie Matinee nights or football Sundays! Straight ahead is just one of the resident lounge areas, featuring a beautiful double-sided stone fireplace and plenty of seating for you and your friends. On the right side of the lounge is our multimedia center, with computers and desk space for you to utilize while you are studying or getting some work done. On the left side of the lounge is our bar area and kitchen, where we have wine nights, holiday/resident parties, etc. Down the right corridor you will find our state of the art Fitness Center. 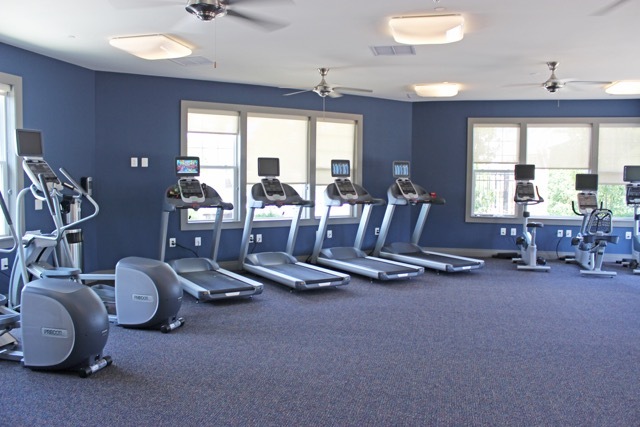 The Fitness Center is made up of two separate rooms: one room with cardio machines and one room with weight and toning machines. 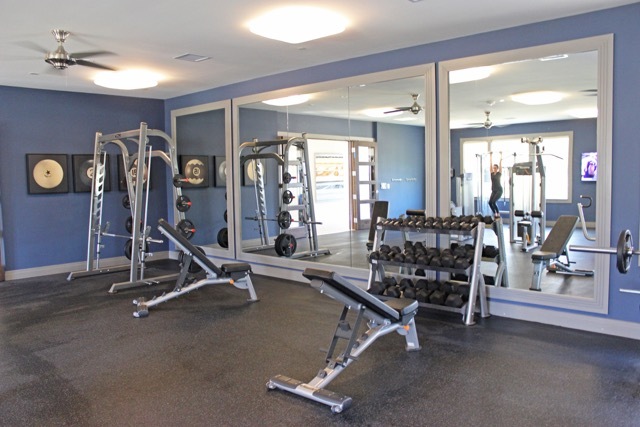 The Fitness Center is complete with flat screen TVs and wall-to-wall mirrors to make sure your form is on point. We also can’t forget about the fitness classes that are free for Arcadia Run residents! 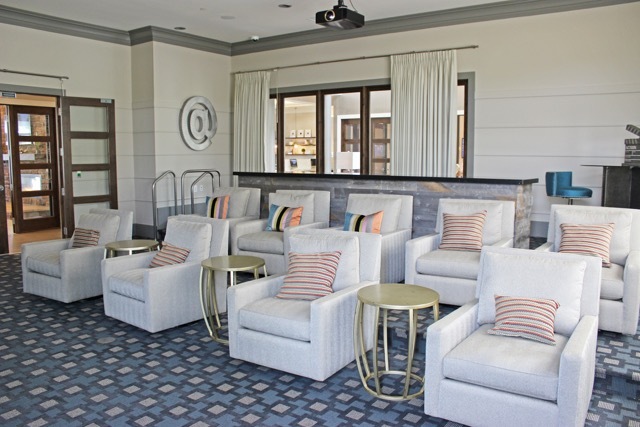 As you approach the back of the Clubhouse, you won’t be able to miss our beautiful outdoor patio spaces and resort-style pool through the panoramic windows. 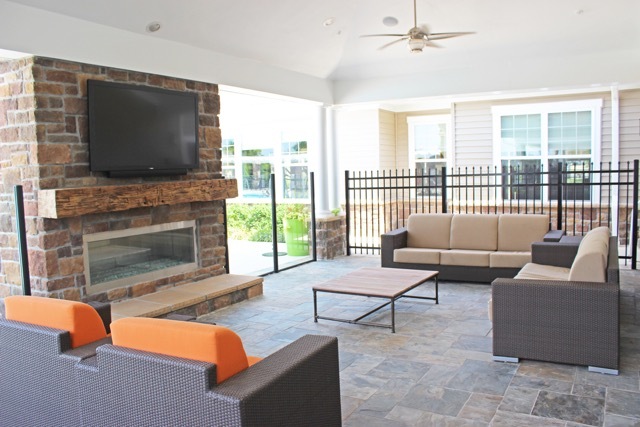 The patio spaces are complete with fireplaces and lounge furniture, which makes for a great place to enjoy breezy summer nights. Our resort-style pool is by far the centerpiece of the Clubhouse, with pool chairs, umbrellas, and even a fountain lining the perimeter. To the right of the pool is a playground including slides, swings, and a jungle gym, with an adjacent fire-pit for those days when the s’mores are calling your name. 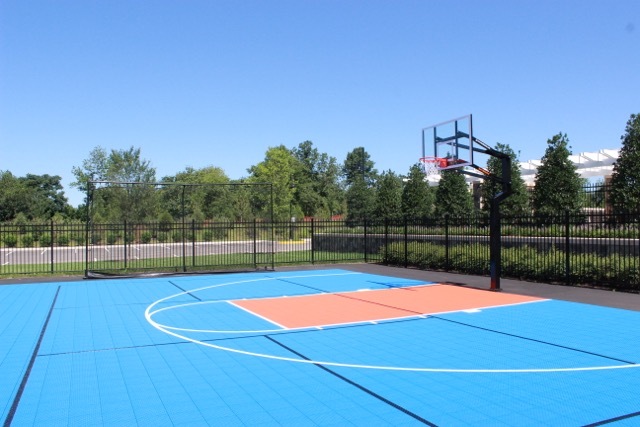 To the left of the pool is a ball court, perfect for an intense neighborhood basketball game, or a solo practice session to work on your free throws. We know from these photos that the Clubhouse looks beautiful, but even photos can’t do it justice! 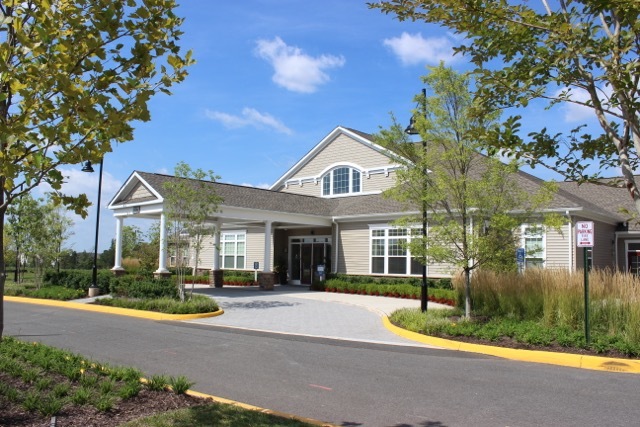 Stop by Arcadia Run today to tour our Clubhouse and see some of the many reasons our residents love living here! Visit arcadiarun.com for more information or to schedule a tour of our new apartment home community here in Manassas, VA! A well-worn couch or sofa is a living room staple for many new apartment homes. Best of all, new couches these days are made to have that perfectly-broken-in-comfort that is so desirable. So, for those in Arcadia Run on the hunt for their next living room oasis, check out these sofas we absolutely love – having a cozy nook to curl into is even better on a wintry day! If you’re searching for the same sofa-level comfort in a smaller package, then this loveseat from Macy’s is your ideal fit! All the coziness in a smaller frame – what’s not to love? Ikea is known for its affordable furniture, and their couches and sofas are no exception. We’re in love with this loveseat/chaise combo that begs to be cuddled on. We might never get back up! You’ll love this luxury sofa made especially for apartment living. With deep seats and plush cushions, this couch will quickly become your favorite spot in the whole apartment. Add throw pillows and blankets for even more coziness! We simply cannot praise this sofa set-up enough. Deeply cushioned, Pottery Barn promises “unrivaled comfort” in one of their highest-rated pieces. Upping the ante is the chaise sectional, offering more room and comfort! This chic and insanely comfortable sofa is the ideal size for many renters. The deep profile is prime for curling up with a good book or the latest Netflix series, and the huge selection of slipcovers makes it easy to match with your existing décor. Do you have a living room set-up that you want the world to know about? Share with us on Facebook – we’d love to see how our tenants make their new apartment homes at Arcadia Run uniquely theirs! · Look for multi-functional furniture: For example, an ottoman that also serves as storage, or a table that doubles as a desk and a dining room table. Eliminating excess furniture from your apartment means a less cluttered, more open feel. · Shelves, shelves, shelves: Shelves are a great way to make the most an area without taking up floor space, and they’re not just for the living area. Placing shelving on kitchen and bathroom walls gives extra storage space and makes for less cluttered counters. You can even opt for shelving above your bed, in lieu of a headboard, for extra storage in the bedroom, eliminating the need for a nightstand. · Think minimalist: The last thing you want in your apartment is large, clunky furniture, so employ minimalist, lightweight furniture instead. This doesn’t mean it has to be boring – look for furniture in fun colors to give a pop of color to the room. · Utilize vertical space: Decorating to make full use of the vertical space in your apartment draws the eye upward, and creates the illusion of high ceilings and a larger room. For example, bookcases and curtains that are floor to ceiling, hanging long artwork above furniture, and shelves placed high on the walls are great ways to utilize your vertical space. · Look under the bed: Underneath your bed is a great place for storage, and it doesn’t have be cluttered. There are bins specifically made for this space to keep everything organized and under control. If you’re finding there’s not quite enough room under the bed, look into getting bed risers to expand the space. · Re-evaluate what’s really necessary: Every so often, take a good look at your possessions – and question what you’re really using and what you really need. Books you’ll never read are taking up valuable shelf space, and you only need so many sets of towels. 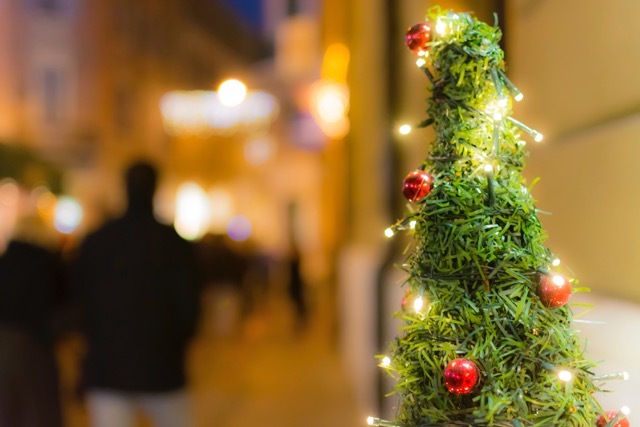 Donate what you don’t need to free up extra space and feel good about a good deed! Jenna Mahoney, author of “Small Apartment Hacks,” suggests going through and getting rid of anything you don’t use in the usual rotation every three months. The bottom line: it’s all about maximizing space. And at Arcadia Run, that space is full of incredible features such as oversized kitchens, granite counters and nine foot ceilings. 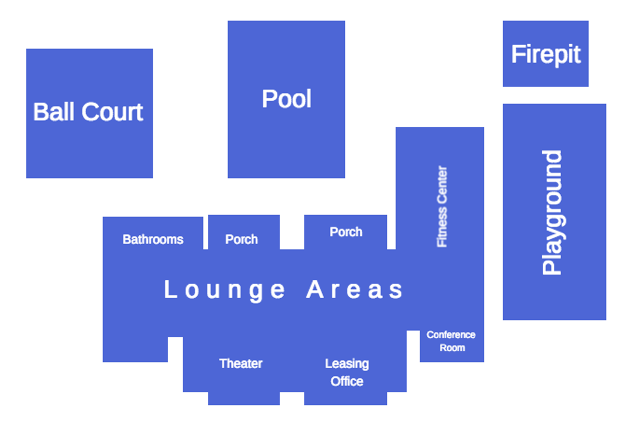 With the combination of these features, our ideal location in Manassas, VA and your expert decorating techniques, you’ll have the apartment you’ve always dreamed of! So you’ve moved into your new apartment at Arcadia Run – now what? Time to make it your home! New carpeting, luxury vinyl flooring, granite countertops, designer cabinetry, updated appliances, and bright and open floor plans set the perfect stage for you to personalize and get comfortable in your new space. Here are a few ways to turn your new apartment into your home! When decorating, stay true to your own style but don’t be afraid to embrace bright colors and bold statements. Not ready to buy a bright red couch? Pick a color and use it as an accent instead. Red pillows or a throw blanket can go a long way in making your new apartment uniquely yours! 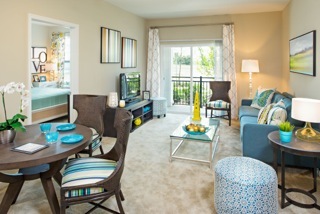 Thanks to extended windows, residents at Arcadia Run have an abundance of natural light in their apartment homes. Other renters in other complexes, however, aren’t always so lucky. Lighting makes a huge difference when trying to make a new space cozy and welcoming! An easy way to immediately make an apartment feel like home is to bring in pictures and sentimental décor, especially if you had these displayed in your previous home. Being surrounded by your favorite pictures of family and friends keeps those closest to your heart close by! Here at Arcadia Run, our residents have great relationships not only with each other, but with the community as a whole. Events like the Fall Festival or Taste of Prince William Block Party bring everyone together to mingle, socialize and have fun. And, aside from making friends, meeting your neighbors brings you closer to feeling right at home in your new apartment. And lastly, Love Where You Live! 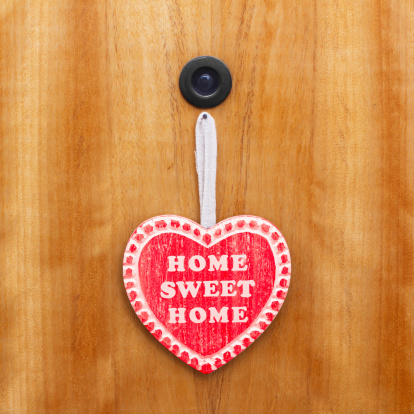 Loving where you live is the easiest way to make a new space quickly feel like home. At Arcadia Run, it’s not hard to do! 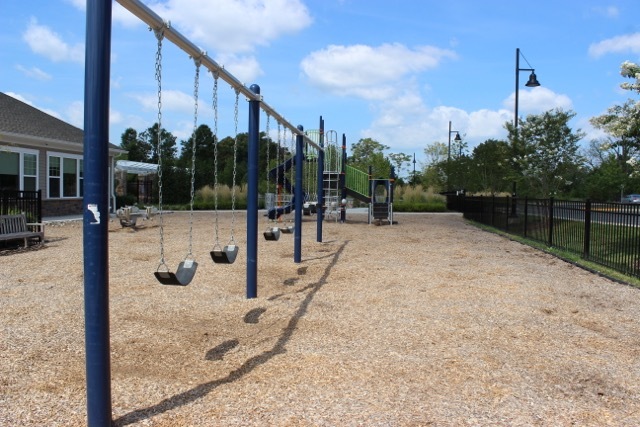 We have it all: beautiful apartment homes, an ideal location, and a welcoming community. So take a look at the spaces available at Arcadia Run – we’re now pre-leasing for Phase 2! According to Apartment Therapy, good design is necessary in just about every aspect of our lives – our living spaces included. Design does, and always will, play a huge role in determining whether or not a living space is a fit for any individual. And while personal preferences differ, smart apartment design boils down to one concept: design that makes sense will always reign supreme. At Arcadia Run, we have had the advantage of designing and building an entirely new apartment community from the ground up. Without a doubt, this means our new apartment homes have been expertly planned with today’s standards and advancements. Residents at Arcadia Run can benefit from an apartment home that simply provides more than what other apartment complexes can offer. At Arcadia Run, residents will quickly fall in love with the intuitive floor plans in our spacious one- and two-bedroom apartment homes. These units expertly utilize space to create a home that’s easy and fun to live in. Features and finishes exclusive to Arcadia Run include tall ceilings, extended windows, walk-in closets in select units, luxury vinyl, granite countertops, updated appliances, over-sized kitchens, new Shaw carpeting, designer cabinetry and so much more. 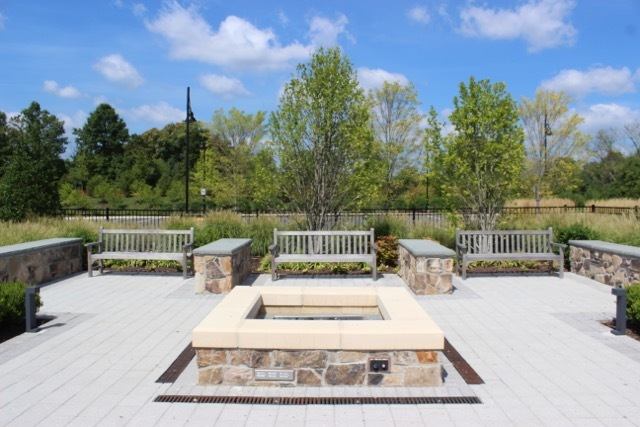 You won’t find the same dedication to beautiful and convenient design anywhere else! But the smart design doesn’t end with our stunning apartment homes – the entire Arcadia Run community is set to be the luxury apartment community in Manassas. 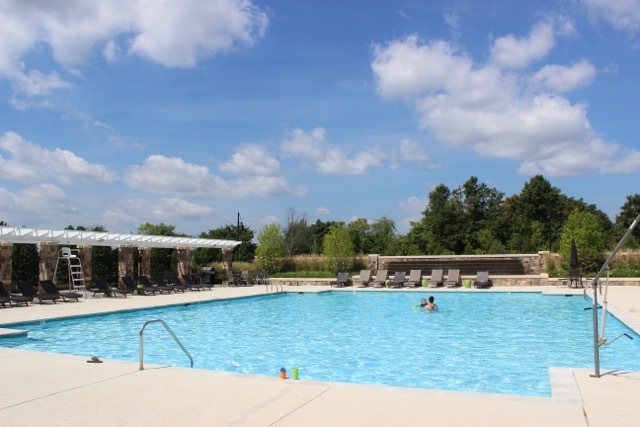 With plans for a resort-style swimming pool, as well as a resident clubhouse with fitness center and more, living at Arcadia Run will feel like a retreat in of itself! “When something is both beautiful and functional, it earns a place in our lives, and becomes a part of our experience,” notes Apartment Therapy, and we couldn’t agree more! The Arcadia Run community has its own culture, its very own neighborhood feel that makes it so sought after by young professionals and families alike. Who wouldn’t want to move into a community that has it all? And now, with pre-leasing available for Phase 2, even more happy residents will soon be enjoying all that the Arcadia Run community has to offer. Take a look at the units we currently have available!